This seemingly simple question can actually be quite difficult to answer. Communism has meant different things at different times to different people. Just think about how many countries call themselves, or have called themselves, communist. How can China be compared to Cuba, or either of them to somewhere like North Korea? Communism has also taken different forms throughout history. During the English Civil War, some two hundred years before Marx and Engels wrote the Manifesto of the Communist Party, the Levellers and Diggers fought for equal rights before the law and common ownership of property. They were not “communists” in the modern sense, but they wanted to fight the same unjust system of the ruling elite. Communism and socialism are political and economic philosophies. While philosophers such as Henri de Saint-Simon or Charles Fourier (both in the 18th Century), laid some of the foundations for socialist thinking, the man most often credited as the father of communism is Karl Marx. 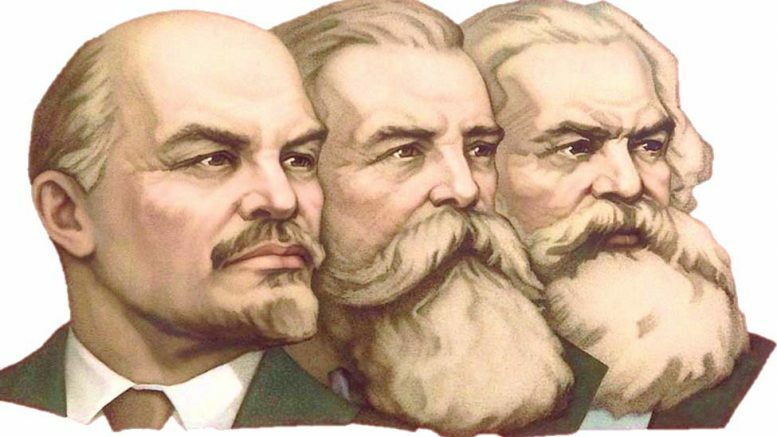 It is the works of Marx, Friedrich Engels and Vladimir Lenin that form the basis of most of the political thinking of modern communist parties. The main aim and objective of any socialist or communist party can be summed up as: the creation of a society where the economy and means of production are democratically owned and used, in a planned way, for the needs and benefit of society rather than for private profit. There are many disagreements between parties as to what form a socialist state should take, and there are even bigger disagreements on how one can be achieved. For instance, the Labour party still describes itself as socialist and sits with the socialists in the European Parliament. At the other end of the scale are the anarchist and ultra-left communist parties who would abolish the state altogether and start afresh from the bottom up. Communism aims to challenge and replace big business, super profit, free market capitalism. Communists recognise that the primary source of profit is the labour power of the workforce. Whether that worker is a miner, a farmer, a shop assistant, a doctor or even a banker – without their labour the company they work for would cease to function. Communists believe that rather than chasing profits for shareholders, business should be democratically, cooperatively or mutually owned. Only by changing the relationship between workers and ownership can the exploitation of one class by another end. If a private company can make money for a few wealthy shareholders, why can’t that company be run for the benefit of society whose labour generates those profits? “In what relation do the Communists stand to the proletarians as a whole? The Communists do not form a separate party opposed to the other working-class parties. They have no interests separate and apart from those of the proletariat as a whole. They do not set up any sectarian principles of their own, by which to shape and mould the proletarian movement. Next: What do we stand for? 1 Comment on "What is Communism?"